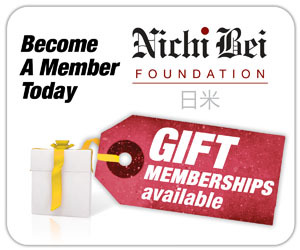 Filmgoers packed New People Cinema in San Francisco’s Japantown for the eighth annual Films of Remembrance film showcase presented by the Nichi Bei Foundation Feb. 23. With the rise of xenophobic rhetoric and federal policies President Donald Trump’s administration has enacted through family separation and the travel ban from Muslim majority countries, the films warned against repeating the grave mistakes the U.S. government made incarcerating some 120,000 people of Japanese decent during World War II. The message, according to both the filmmakers and the foundation, remains more relevant than ever. Attendees and staff were saddened by the sudden passing of San Francisco Public Defender Jeff Adachi the night before the event. “He was supposed to present our filmmakers with certificates from the city,” Kenji G. Taguma, president of the foundation, said at the start of the event. Taguma called Adachi “a tireless social justice warrior” and dedicated the day in his memory. Taguma reminded attendees that Adachi, a filmmaker himself, fought for justice and shed light on the racism and Islamophobia prevalent today. The event began with a free presentation by Art Hansen, director emeritus of the Japanese American Oral History Program at California State University, Fullerton and former senior historian at the Japanese American National Museum, discussing those who resisted the wartime incarceration. Hansen’s talk was prefaced by clips of “Conscience and the Constitution” by Frank Abe and “Rabbit in the Moon” by Emiko Omori and Chizuko Omori. Hansen said he hopes his books “Nisei Naysayer,” on journalist Jimmie Omura, and “Barbed Voices” would inspire more work remembering the Japanese Americans who resisted the wartime incarceration. “We’re long since over the fact that people were ashamed to say they were at Tule Lake Segregation Center, now it can be a point of pride,” he said. The formal film showcase started with a collection of short films under a program entitled “History Rediscovered.” It featured “Beyond the Barbed Wire: Japanese Americans in Minnesota” by Ka Wong, Hikari Sugisaki and Paul Sullivan; “The Crystal City” by Kenya Gillespie; and “Three Boys Manzanar” by Preeti Mankar Deb. Jana Katsuyama of KTVU Fox 2 moderated the films’ discussions. Sugisaki spoke after her film with Phuoc Le, a former Nisei Student Relocation Commemorative Fund board member based in the Bay Area. “They felt a sense of duty and obligation and a deep appreciation for those who sponsored them and enabled their education,” said Le. 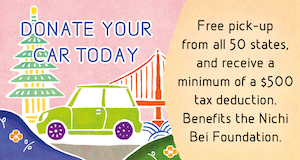 The Nisei formed the Nisei Student Relocation Commemorative Fund in 1980, which is “a scholarship fund that bestows scholarships every year to Southeast Asian students,” according to Le. 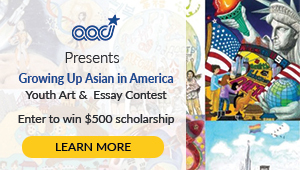 Le said the fund focused on Southeast Asian students such as himself in the 1980s onward because of how many of them were refugees arriving in the United States after the Vietnam War. “All of the original members of that scholarship fund are Nisei, and many of them, we have sadly lost, but their legacy lives on, their memory lives on in these scholarship,” Le said. Sugisaki, who made the film with their professor at St. Olaf College, spoke about how the film was meant to educate those in the Midwest about the wartime experience. “So the reaction has generally been, ‘oh, we never knew about this part of Minnesota. We never knew about this part of American history,’” said Sugisaki, who is now based in Torrance, Calif.
“The Crystal City” and “Three Boys Manzanar” followed, and Gillespie and Deb spoke about their respective films following the screening. Akemi Ooka, daughter of Mas Ooka from the famed photo of three boys at the fence of the Manzanar concentration camp, and Libby Yamamoto, a former Crystal City, Texas camp inmate incarcerated from her native Peru, joined the discussion. Austin, Texas native Gillespie said he aimed to highlight the irony he felt learning about all the tragic stories of former inmates at Crystal City, Texas and the current state of the camp, where almost nothing remains of the site. “When I went to the actual site of the place, I had this rush of emotion … it was just this really strange place where I had these memories of what these experiences were, and yet the place itself is ironically so different from what those experiences are,” he said. Yamamoto acknowledged Gillespie’s observation, noting that the site no longer features the 10-foot fence and guard towers that surrounded her when she was taken there as a 7-year-old. She described her living conditions at the camp and the experience of being separated from her father for months as the U.S. government abducted him from Chiclayo, Peru. Ooka, who like Deb is based in the Bay Area, said of her four siblings, only one had previously visited Manzanar, Calif. She called the experience “emotional and eye opening,” especially as the family found their name etched in the concrete of a former chicken coop. “So I think that particular moment was really powerful, because that wasn’t just my father’s name, that was my grandfather’s name … it was just this really strange moment when you’re sort of touching the past and realizing that there’s this indelible mark that has been there for 70 years and is going to be there in the future, and that’s part of history, that’s part of my family,” she said. A second slate of short films under the program entitled “Americanism is in the Heart” followed the first slate. The series featured “American” by Richie Adams of Baton Rouge, La., “An American Hero: Frank Nishimura” by Shannon Gee of Seattle and “Mr. Tanimoto’s Journey” by Jesse Dizard of Chico, Calif. Adams, Gee, Dizard and Jim Tanimoto of Gridley, Calif., attended the screening and spoke after their films. Christen Sasaki, an Asian American studies professor at San Francisco State University, moderated the program’s discussions. Adams joined the event from his home in Louisiana via Skype. Adams said he held San Francisco in a special place in his heart, having lived in the city while attending the Academy of Art College. Before learning about the Japanese American National Museum, he had intended the film to be set in a fictional museum in San Francisco. Gee spoke about the challenges she faced adapting a graphic novel into a movie, using computer software to puppet static images into moving animation. “This story should be told and retold many times, so something like this can’t happen again,” Tanimoto, 95, said. Following the shorts presentation, the event screened “The Registry” by Bill Kubota and Steve Ozone. Both the Detroit-based Kubota and Minnesota-based Ozone attended the screening and spoke about their film in a discussion moderated by Rosalyn Tonai, executive director of the National Japanese American Historical Society. The cousins spent a decade working on the film chronicling the lives former Military Intelligence Service members lived after the war. Ozone reflected upon the veterans’ unique stories. Kubota said the biggest challenge was getting the stories themselves. “(The veterans) were already 91, 93 years old already. A lot of the ones we wanted to talk to weren’t around anymore,” he said. “It was really the last, last years of some of these guys’ lives, that’s really what the story is about. This year’s showcase film was “Alternative Facts: The Lies of Executive Order 9066” by Jon Osaki, with narration by his daughter Mika Osaki and Joseph Tsuboi. Following the film, Osaki, Tsuboi, consulting producer Lauren Kawana, and Donald Tamaki — who was featured in the film — participated in a panel discussion moderated by filmmaker Dianne Fukami. Osaki, who is executive director of the Japanese Community Youth Council, said he was inspired to make the film to educate youth after realizing how little he knew of the wartime experience himself. Urged by the ignorance the public exhibited in the aftermath of the 2016 presidential election, where even “educated public officials” expressed a lack of understanding of what had happened during World War II, Osaki said he wanted to make the film to show to students at colleges across the United States. He said he also felt time is short to make films such as his. Osaki added that as years go by and there are fewer people to speak about what happened, the ignorance surrounding the wartime incarceration will only grow. The event concluded with a reception in the theater’s lobby with the filmmakers. As emcee, Fukami interviewed the filmmakers. Nakayoshi Young Professionals prepared most of the evening’s food. The menu also included sushi from Sushi California and manju from Benkyodo. Entertainment was provided by The Theater for Transformation — composed of Amanda Kemp, Michael Jamanis and Francis Wong — Wesley Ueunten, Naohiro Matsuzaka and others. 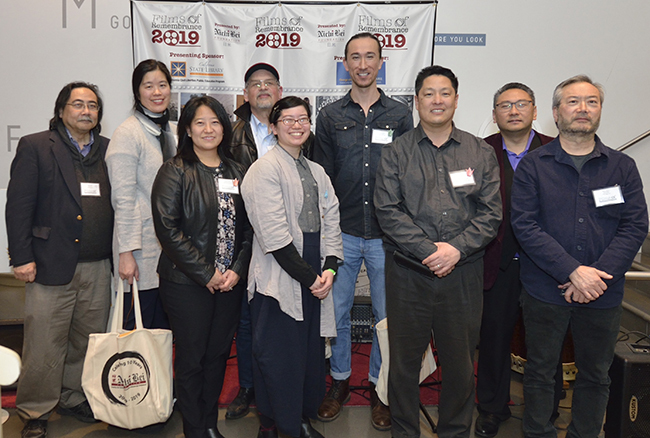 The 2019 Films of Remembrance was made possible with funding by the UCLA Asian American Studies Center, George and Sakaye Aratani C.A.R.E. Award, the California Civil Liberties Public Education Fund and other sponsors.